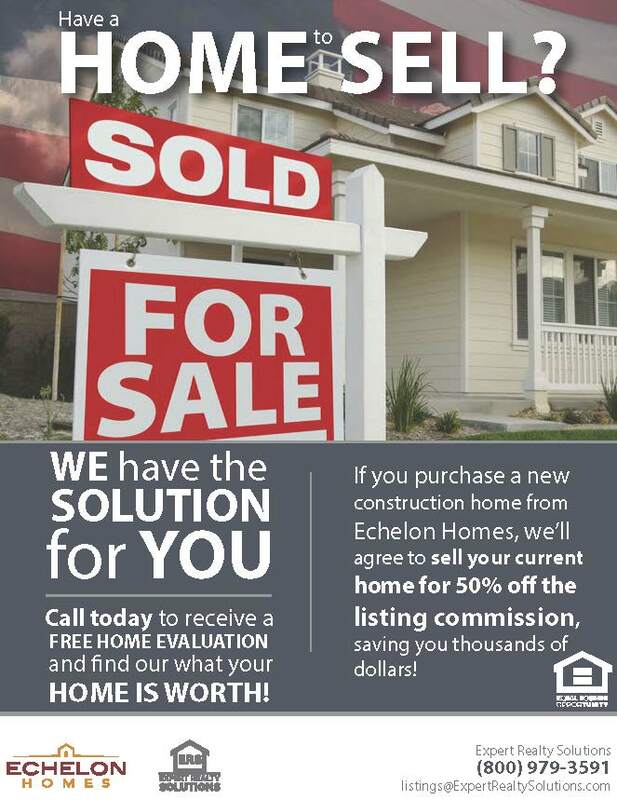 Echelon Homes has partnered with Expert Realty Solutions to provide you with an exclusive solution!If you purchase a new construction home from Echelon Homes, Expert Realty Solutions will agree to list your old home for 50% the listing commission, saving you thousands! Don’t let the cost of selling your old house hold you back from getting into a new Echelon home! For a free home evaluation on what your old house can sell for, contact our sales representative at info@echelonhomebuilders.com & we will be happy to set you up!